When I first looked at the Work the World website, I saw that they had so many destinations to choose from. I ended up choosing Anuradhapura because of the specific clinical experience I could get there. And more than that — if I was travelling for my placement, I wanted to go somewhere far from home. I realised I might never get the chance to go to Sri Lanka again! Someone from Work the World team in Sri Lanka met me at the airport. We travelled to the house together. Both Work the World staff and hospital staff worked to ensure I got the placement I wanted. Once I arrived, the catering team prepared a welcome meal for me and than I had my briefing. During the briefing the team clarified what I would focus on during my placement in the teaching hospital. 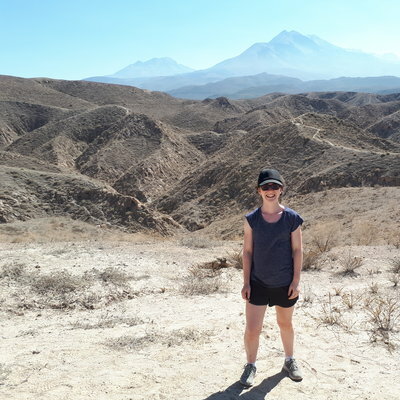 I asked if I could spend some time in the outpatient department, which was connected to the teaching hospital, to gain some musculoskeletal experience and see a vast number and range of patients. It took me a few days to settle in and get to know my housemates, but it was easy as everyone was so welcoming and friendly. My first day of placement was nerve-wracking. The Work the World team made this much better by taking me to the hospital and introducing me to staff I’d be working with. I spent two weeks in the outpatient department, observing physiotherapists in both the pediatric and adult departments. I spent the rest of my placement shadowing and assisting physiotherapists in wards around the hospital. It was a fantastic experience, and I saw a real variety of patients. Many patients could not afford to travel to the hospital. I even spent two days observing in the neurological and surgical theatres. 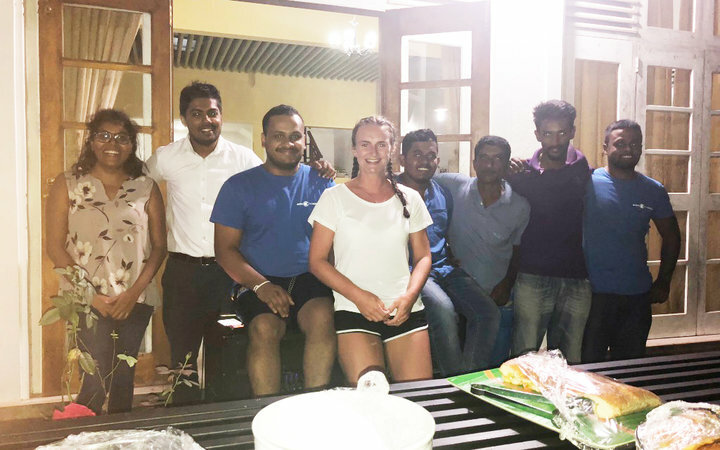 The Head Physiotherapist went, fortnightly, to some of Anuradhapura’s more rural areas. Many patients could not afford to travel to the hospital. I went with him on two of these visits. The trips were eye-opening, and gave me the chance to see a bit of rural Sri Lanka. During the first visit, I was excited see the more rural area of Anuradhapura. Not only housing conditions, but also the standard of treatment given with limited resources and time restrictions. We arrived at a community church and met a few of the nurses who were based there. We travelled together to a local house where patients had gathered. Someone in the community had offered their home as a space for those attending the ‘clinic’. We treated about 20 patients in her living room and bedroom! This is just one example of how different healthcare delivery is in the UK compared to Sri Lanka. Spending time in the community helped me realise how lucky we are to have what we have at home. about 15 patients came into the gym every hour. There were only two physiotherapists. Some families had only one double bed in the house, with as many as five or six living under one roof. In the UK we have reliable electricity, water and heating at the flick of a switch. Most of us probably take it for granted. The biggest difference in the system between Anuradhapura and the UK was the ratio of physiotherapists to patients. There were only 19 Physiotherapists in the hospital. They had to treat all patients who required physiotherapy in both the hospital and the outpatient department! When a patient had an outpatient appointment, they were given an hour for an initial assessment. Then they’d have a 1-2-1, 30-minute follow-up appointment with a physiotherapist. the hospital had limited resources and supplies. In my placement hospital’s outpatient department, about 15 patients came into the gym every hour. There were only two physiotherapists. The treatment was also quite different from back home. And understandably so, as the hospital had limited resources and supplies. In some wards there were two patients to a bed. Sometimes there were patients on the floor. 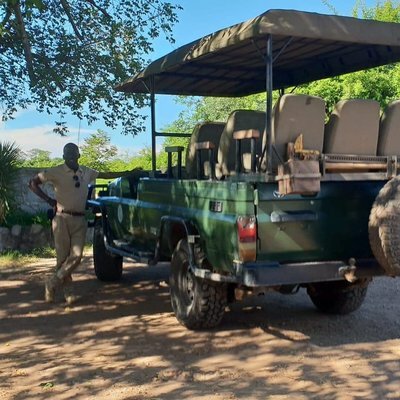 The staff did their best with what little equipment they had. They maximised the care they could provide by being inventive at every opportunity. After placement each evening, and at the weekends, we travelled in and around Anuradhapura. It’s such a beautiful part of the country, and we felt so lucky to be situated there. At the weekends, we went off and travelled further afield. It gave us the chance to explore Sri Lanka as a whole. 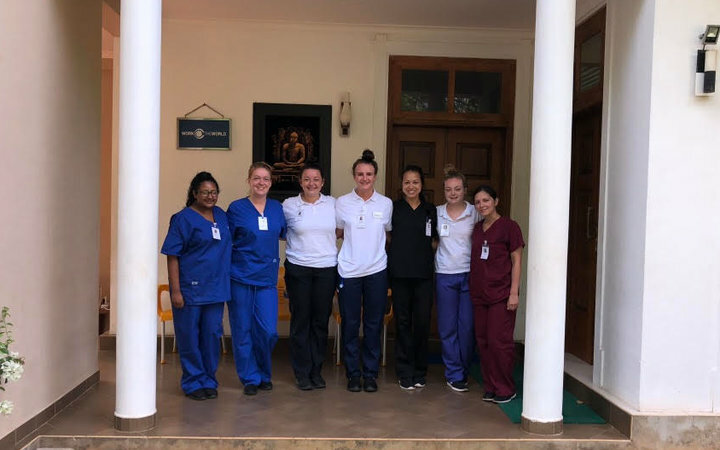 The placement, travelling Sri Lanka, the Work the World staff, the hospital staff… They all added up to a fantastic and fulfilling experience in Anuradhapura. We had a chilled weekend, spending the majority of it by the pool and drinking cocktails! I don’t have a single complaint. 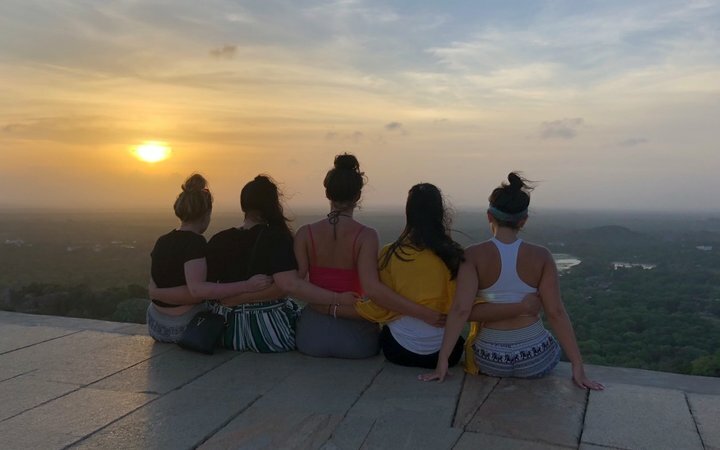 On my first weekend, a few of the girls in the house had already planned to go to Negombo so I decided to travel with them. We went shopping too, and bought souvenirs to take home. The following weekend — my favorite weekend — we went to Trincomalee. 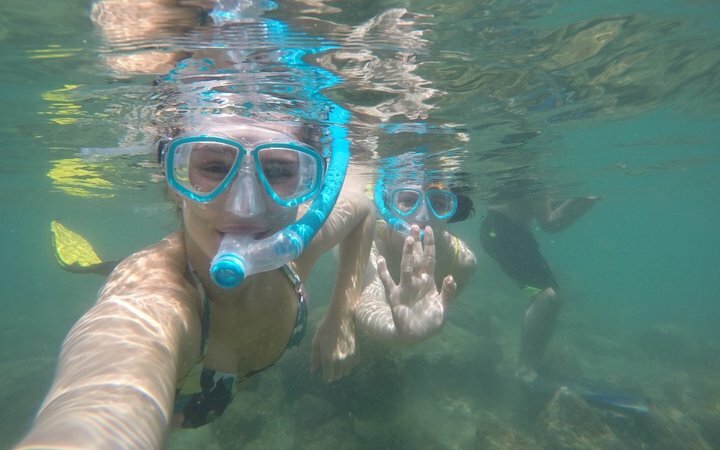 The snorkeling there was amazing. We arrived late afternoon on Friday and ventured down to the beach for a swim in the sea. On our way back to the hotel, a woman selling coconuts by the side of the road stopped us. She asked if we wanted to go to her ‘café’ for dinner. We thought it would be nice to experience some proper home-made Sri Lankan food. 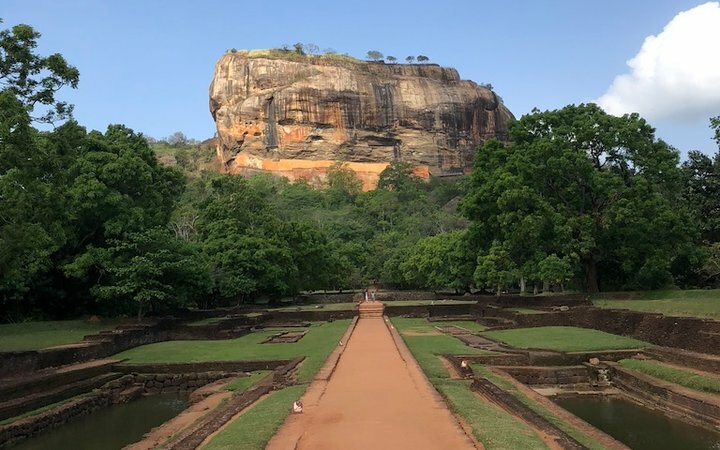 One afternoon trip we took was to Sigiriya rock. It was a fair climb, but so worth it. The views from the top were incredible. I spent my last weekend in Sri Lanka in Arugam Bay, lying on the beach and enjoying the scenery. We found the most beautiful spot, and had a relaxing weekend in the sun. 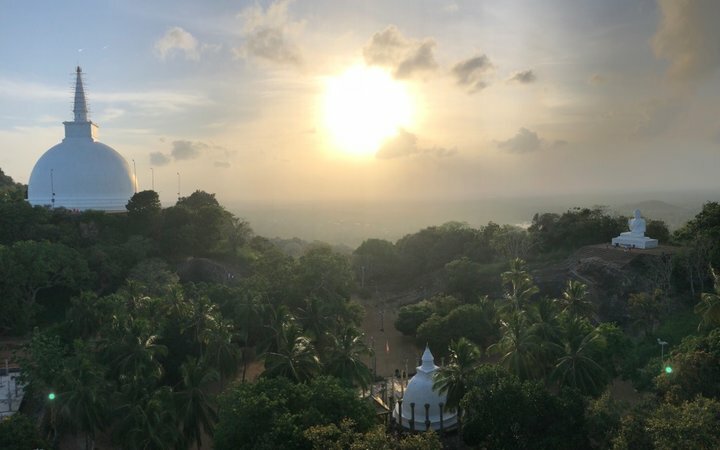 From the moment I stepped off the plane to the moment stepped back on, I loved Anuradhapura. I can’t fault Work the World. They were great prior to, during and after my trip. I left the UK with an open mind and that really helped me make the most of my time away. 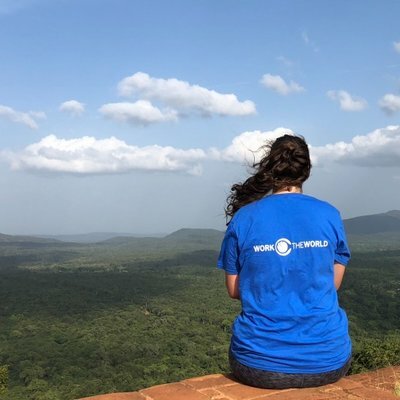 It was genuinely the best experience of my life, and I am so proud of myself for completing my elective placement in Sri Lanka. 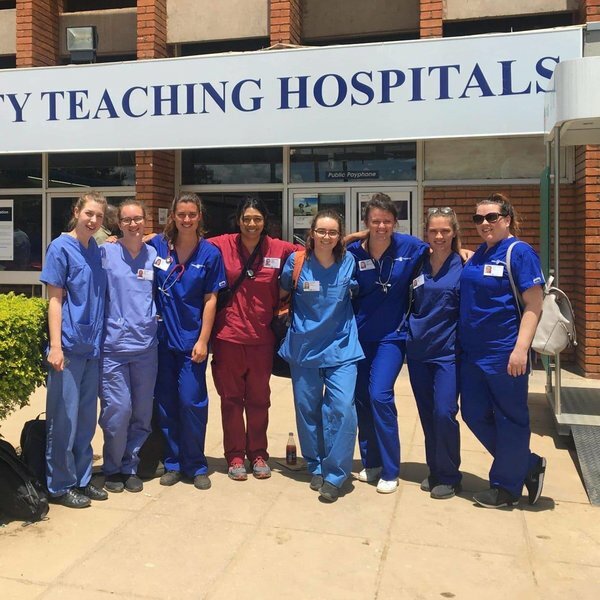 If you’re considering doing a placement overseas, I would 100% recommend that you GO FOR IT! You only live once, and this really is a once in a lifetime opportunity.